The itch and redness on my forearm from eczema has been irritating me for some time. I scratch uncontrollably like a monkey. I started using ISANI only 2 weeks and noticed the redness and itch become noticeably less. Now when I touch my skin…it feels so soft and smooth. 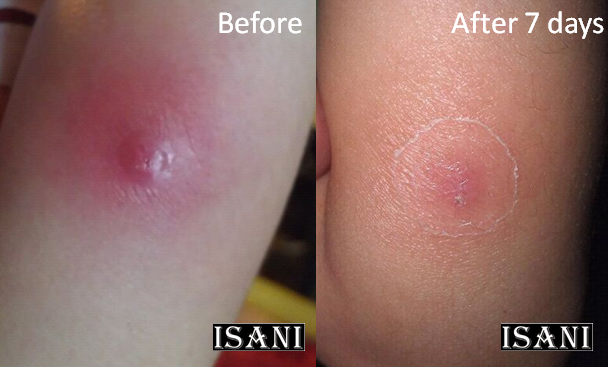 I can use ISANI on all parts of my body. Now I don’t need to buy shampoo, facial cleanser or soap. Thank you ISANI. My son had eczema since birth. He cried often, probably due to itchy skin. Although I felt guilty doing so, for want of any alternative, I applied steroid on his skin. There was no improvement. Thank God, my friend Candy introduced ISANI to me. I applied ISANI on my son’s skin and left it on for 10 minutes before washing it off thoroughly. After two weeks, the eczema was under control and he is now free of it. ISANI works wonders and saves me a lot of medication fees. 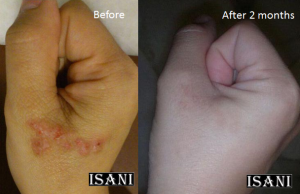 I had eczema on my hands for my many years: its skin was inflamed, dry and cracked all the time. The steroid cream my dermatologist prescribed did not help. A friend then recommended ISANI. 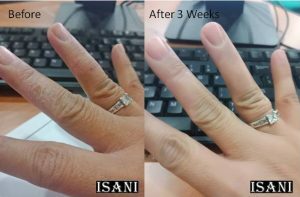 After using ISANI continuously for 3 weeks my hands are not only completely cured of eczema but are also fairer and smooth. It is like a miracle!!! Thank you ISANI. My pet, Romeo, had redness on almost every part of his skin. Although we gave him prescribed antibiotics and bathed him with pet shampoo recommended by our veterinarian the problem persisted. 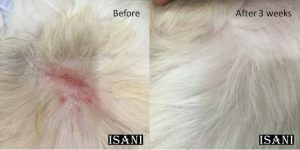 However after three weeks of bathing him with ISANI his skin is whiter and healthier with no more signs of allergy. I am recommending ISANI to Romeo’s pet shop. My baby started to have nappy rash, and eczema on his face and body when he was only a few days old. Since he was a newborn I didn’t want to apply any medication. 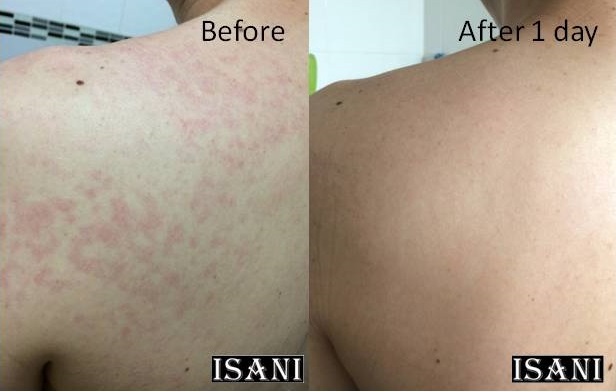 My husband then decided to try ISANI and we bathed him daily with ISANI. 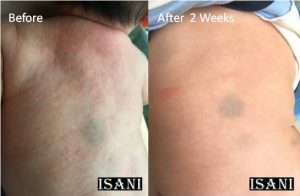 Thank God, after five days my baby’s nappy rash and eczema started to gradually disappear. After month it disappeared for good. My baby’s skin is now soft and smooth as a baby’s skin should be. THANK YOU ISANI. My son easily gets diaper rash due to the hot weather. Whenever he has diaper rash, I will apply ISANI on him. 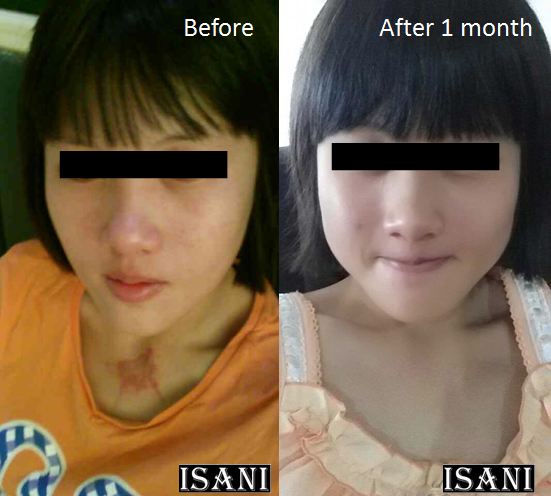 The recovery is very fast and most importantly, I know that ISANI is natural and harmless to him as a baby! I love ISANI which is safe for my whole family. I developed skin rashes which turned very itchy from swimming in a pool. 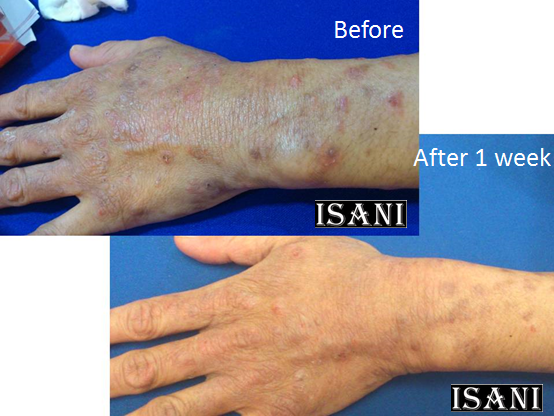 Out of curiosity, I applied ISANI on the affected skin. To my surprise the rashes and itch subsided within a day. My skin has fully recovered without using any medication. 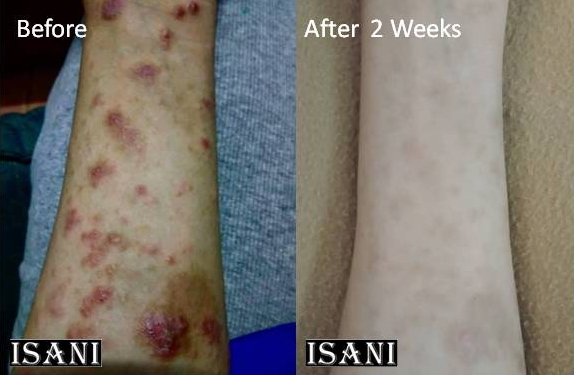 ISANI is truly a Skin Health Bar! My baby suffered severe nappy rash. 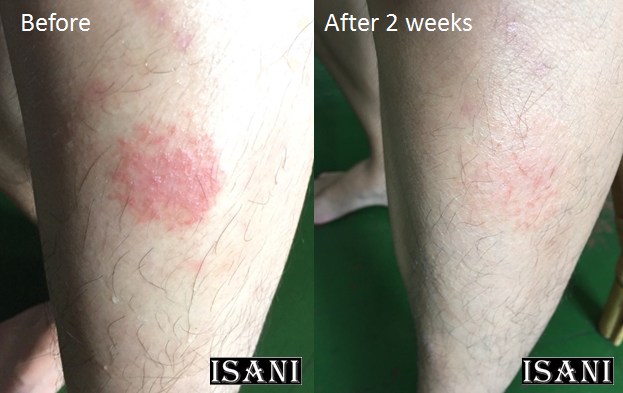 I decided to use ISANI to clean his bottoms and after two days the skin started to heal. The skin’s speedy recovery amazes me; I am now definitely a loyal user of ISANI. It’s simple to use and is effective. I delivered my baby through caesarian and it caused me to have deep ugly scars. I was introduced to ISANI through Facebook during confinement and I bought a box to try out of curiosity. 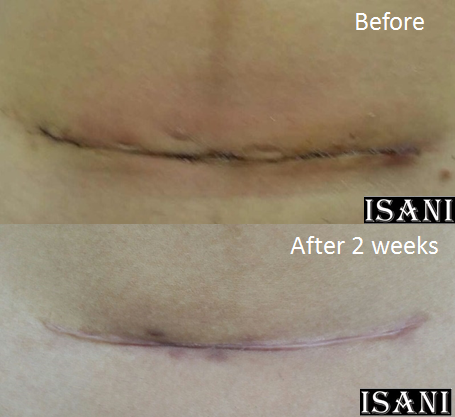 In just 2 weeks the scars lightened up so much which was really out of my expectation. Amazing! 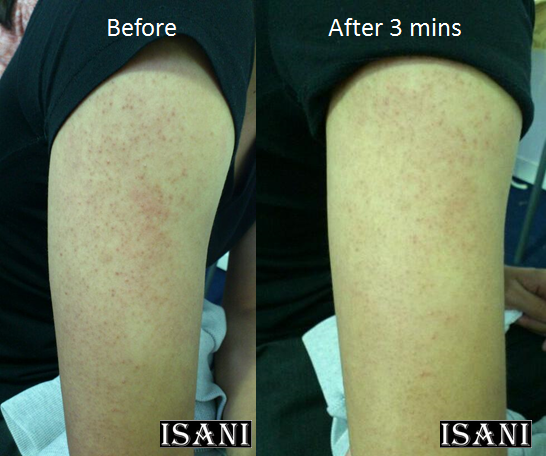 I am satisfied with the result after using ISANI. 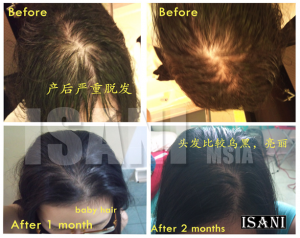 I loss a lot of hair after delivered, I have tried many others hair loss products and nearly signing up for expensive hair loss program in the market. 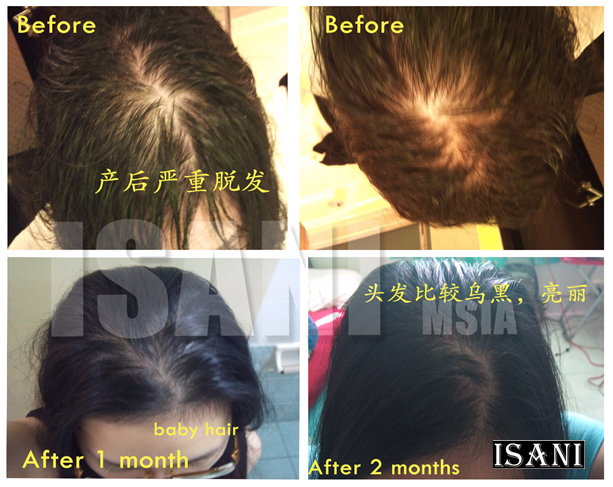 Until I used ISANI, my hair grow back to normal. I was frequently having cold sore. I noticed when I apply it with ISANI, it helps to get rid of it faster then I could imagine. My skin developed a lot of rashes during my confinement. It was very itchy and I scratched until it bled. 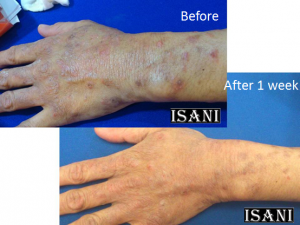 At first I wanted to visit a dermatologist and then I thought of ISANI as I prefer to use natural product. 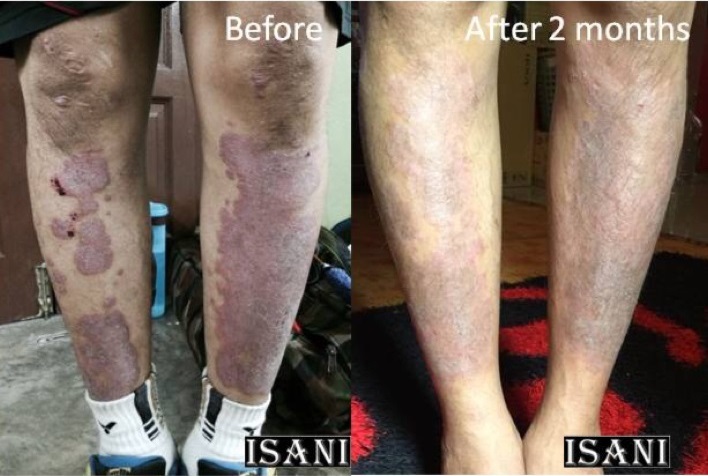 I am now using it constantly during my daily shower and the problem went off in a month and the scars gradually lightened up after that. Thank you ISANI. I have been facing this problem for the past 10 years, from neck to back to hand. I used to apply steroid cream prescribed from doctor but it does not help. 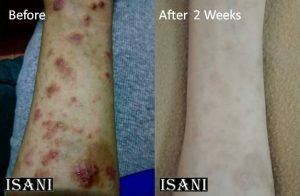 I have try a lots of other product but none of it works until my friend introduce me ISANI. Just within 3 months, the problem on my neck see significant improvement. I am so grateful that I met ISANI. Say “bye” to steroid cream! I’ve been to the doctor twice for my skin problem (eczema) and the doctor prescribed medicated cream. After applying for a while, I found that it’s not healing. 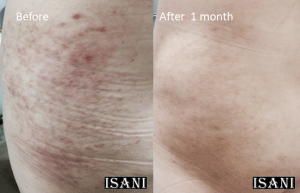 Then I was introduced to ISANI which is just simply amazing and easy to use. I only applied for 3 minutes twice a day, it healed within 2 weeks, and I am still using it now daily. My kid always have pus on her elbow. The pus will then goes off and come back. I always need to bring her to visit doctor. I used to have Eczema on my hand for the past 10 years. Visiting doctor regularly but didn’t have any improvement. I have seeks for a lot of ways but none of it works until I met with ISANI. I was facing this problem cause by my working environment. I can’t afford to pay a visit to dermatologist as I am a low income earner. 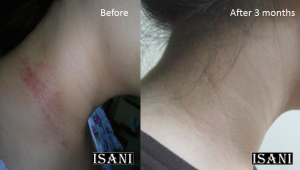 So thankful that I was introduces to ISANI in a road show and just within 1 week, I see my skin improve so much! It really worth me to use it!